Alaska Native News Dec 12, 2018. 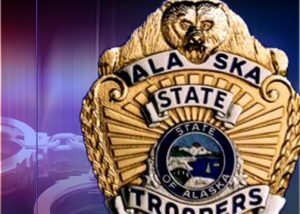 Alaska State Troopers met a Gustavus man at the Juneau Airport on Tuesday and took him into custody following a Juneau Grand Jury indictment, troopers reported on the trooper dispatch. Troopers responded to the Juneau Airport at 11:45 am and arrested John M. Scott, age 58, of Gustavus on a multiple-count arrest warrant. Scott had been indicted on 18 counts of Sexual Assault I, Sexual Assault II, Sexual Abuse of a Minor II, Sexual Assault of a Minor III, Sexual Assault of a Minor IV, and Harassment I by a grand jury on Friday, December 6th. Following his arrest, Scott was transported to the Lemon Creek Correctional Facility and remanded there on the charges with his bail set at $25,000.